Start Microsoft's OneDrive for Business automatically when your PC boots. Keep it running in the background to automatically sync your library before you log in! OneDrive for Business (formerly SkyDrive Pro) is Microsoft's cloud storage service integrated with Office 365. Download and install OneDrive if necessary. Start it up, enter the library you want to synchronize and ensure that everything works as you expect. if you are on a 64-bit system with the 32-bit version of Office installed. where <YOUR-USER-NAME> is the name of the account in which you installed OneDrive (your Windows account name for this PC). You may have trouble seeing the hidden AppData folder when selecting the path, but Windows will accept it if you type it in. In the Name field, enter the name that you will call the application in AlwaysUp. 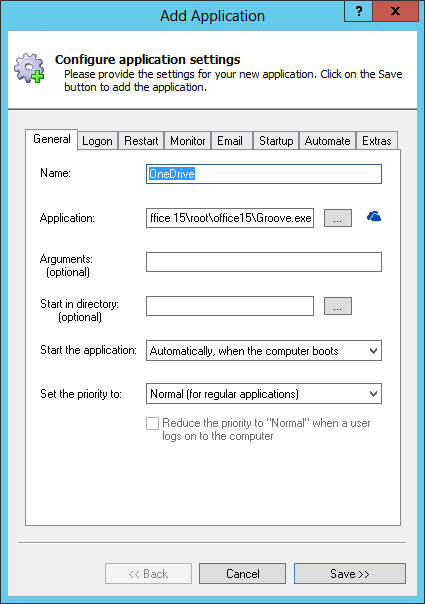 We have changed it to OneDrive from the default of "Groove", but feel free to specify almost anything you like. Click on to the Logon tab and enter the user name and password of the Local Windows account where you installed and set up OneDrive. OneDrive must run in this account so that it can find the libraries/URLs you have configured. Note: Do not enter your OneDrive login and password here. A Microsoft account won't work here either. Please specify credentials used to login to a local account on this Windows PC. 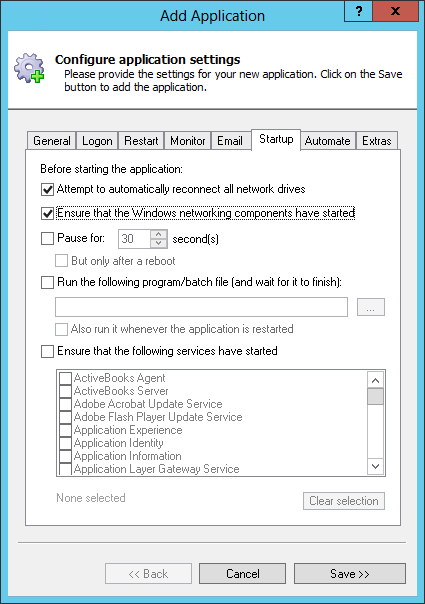 Click over to the Startup tab and check the Ensure that the Windows Networking components have started box. OneDrive uses TCP/IP, the language of the Internet, and AlwaysUp must ensure that the underlying network components are running before OneDrive tries to sync your files. Almost there! 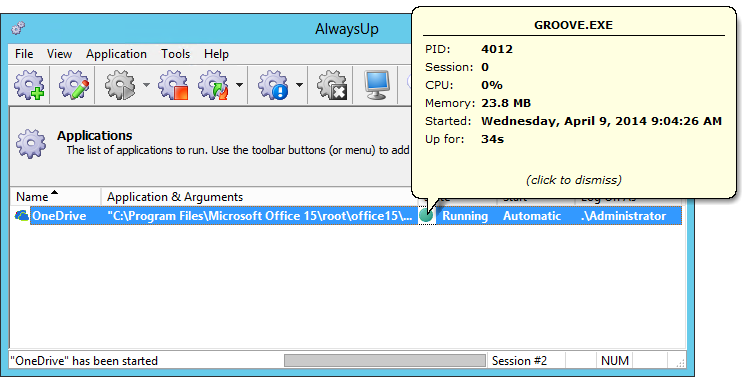 Click the Save >> button and in a couple of seconds, an application called OneDrive will show up in the AlwaysUp window. It is not yet running though (as you will notice from the State column). Right-click on the OneDrive cloud tray icon and select Settings from the menu. Right-click on the tray icon and select Exit to close OneDrive. However, depite the lack of icons, your files will still be synchronized by OneDrive. Please validate by creating a file on your PC and checking that it shows up normally online after a minute or two. 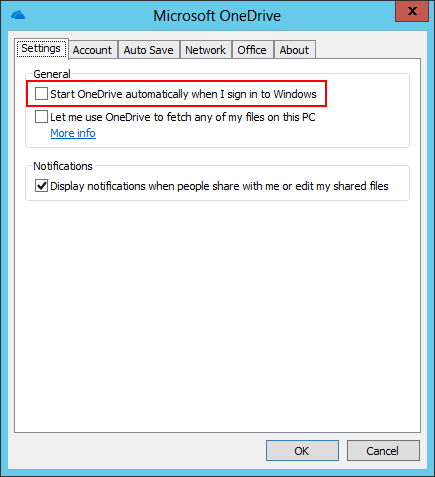 Select Application > Restart "OneDrive" in this session, to bring OneDrive onto your screen. That's it! Next time your computer boots, OneDrive will start up immediately, before anyone logs on. 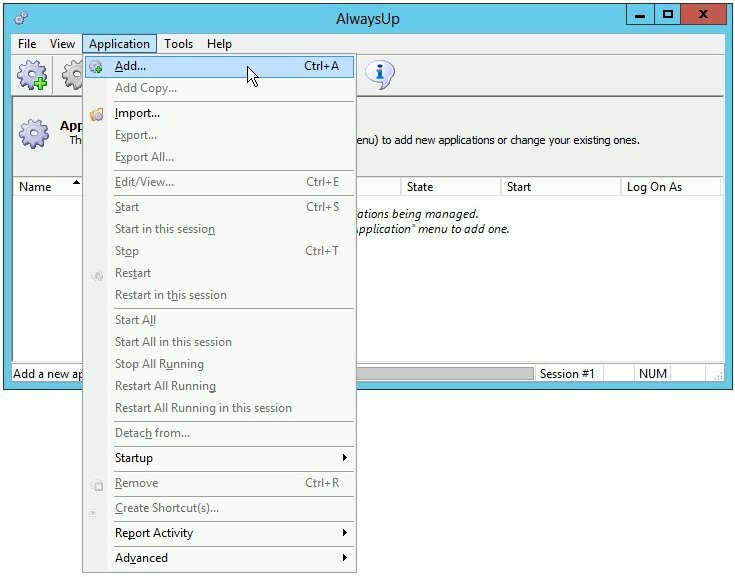 We encourage you to edit OneDrive in AlwaysUp and check out the many other settings that may be appropriate for your environment. Send an email when OneDrive stops unexpectedly (or someone accidentally shuts it down), completely hide the window from prying eyes, and much more! 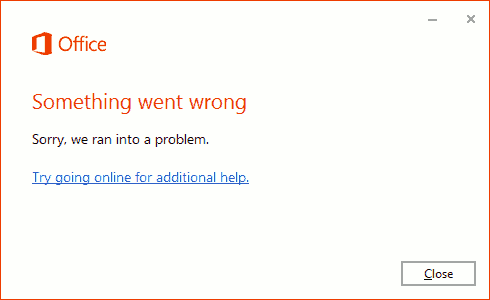 OneDrive not working properly as a Windows Service? If OneDrive complains when you start it in Session 0, please ensure that you have applied all the latest updates from Microsoft. Apparently there were a few problems with the initial releases. If you are on Windows 8.1 or later, Microsoft's OneDrive troubleshooter may help. 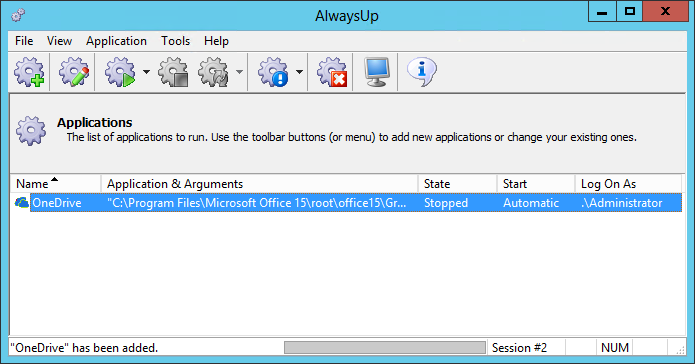 From AlwaysUp, select Application > Report Activity > Today... to bring up a HTML report detailing the interaction between AlwaysUp and OneDrive. The AlwaysUp Event Log Messages page explains the messages that may turn up.